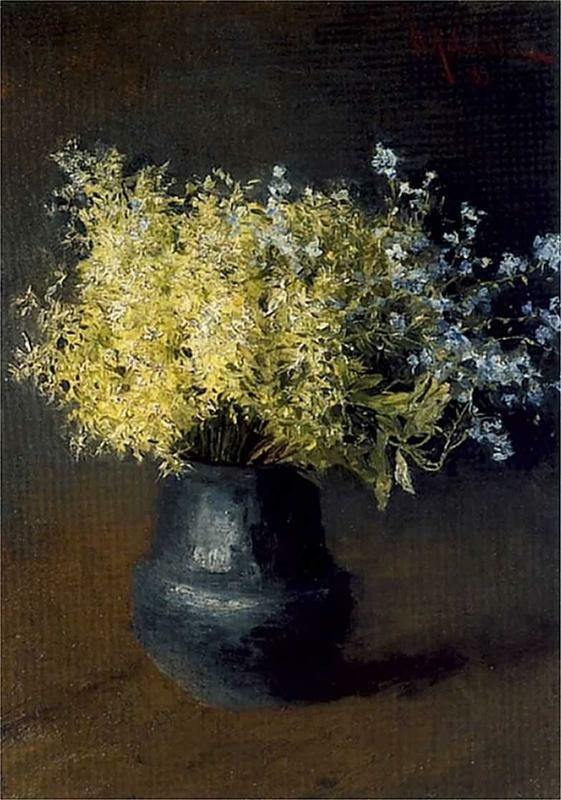 Nikolay Anokhin, born in 1966, is a contemporary artist. He studied at the Moscow Art School and the Surikov Moscow Art Institute. 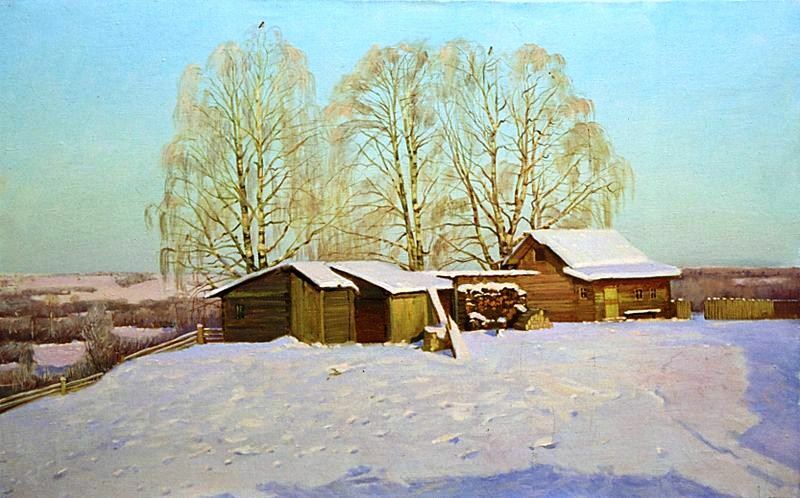 His mentors were Aleksei Mikhailovich Gritsai (1914–1998) and from Sergei Tkachev (McCarthey Gallery). Anokhin‘s work is displayed in Russia and abroad. 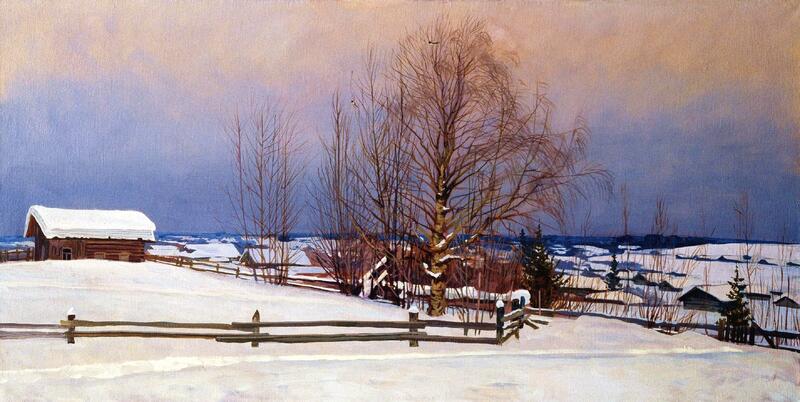 It is representational and includes many landscapes, which is typical of Russian art. Not only is this painting the work of a talented and well-trained artist, but the content has appeal to home lovers. 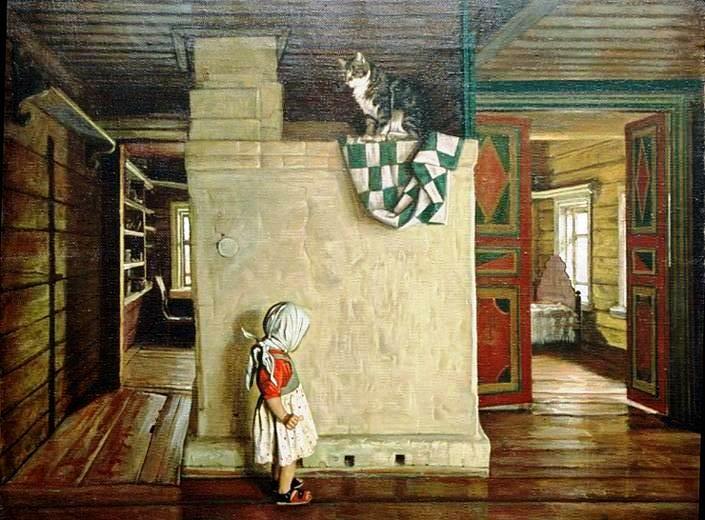 It features a chimney or stove, a lovely child, and, perched above the stove, a cat. Because it is a scene from familiar life, this painting could be referred to as genre painting. Have you noted how often paintings include domestic animals. In aristocratic homes, the pet tends to be a very small dog. But Carl Larsson painted larger dogs. The dogs may have been larger because they had room to roam.